Why is this? Better coverage on TV? A better overall LIVE golf event experience? Or just the fact that technology and the internet has made applying for tickets at these live events much more accessible? Either way, the number of people who are more committed to watch the world’s largest golf tournaments LIVE is growing…. This has resulted in there being more investment into the way that the sport can be enjoyed by fans. For some people, the only way to enjoy golf is through creating time in their yearly schedule and physically planning to attend a golfing tournament. 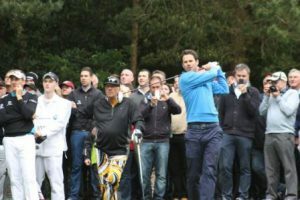 Whether you arrange your trip to watch live golf events yourself or use the services of Events International’s open golf championship hospitality, there is certainly something to be said, when you are able to stand only meters way from a golfing legend! 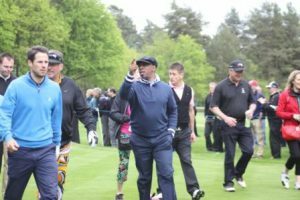 In fact, attending an event like The Open Golf in 2017 is also a great way for businesses to strengthen the relationships with their clients, which only enhances the experience for everyone involved and can help to establish long-term bonds. If you are unable to attend a tournament in the flesh, perhaps the next best way to watch the world’s biggest golfing events is through embracing the technological age and watching online. 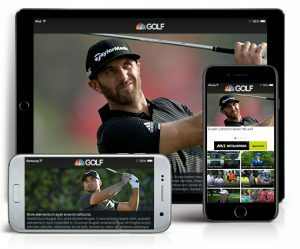 Golfing fans that have access to the internet will be able to live stream many of the most popular events on websites. Similarly, you can take this a step further and look at installing some of the very best apps that will be able to help you stay up to date with the latest golf goings on. This allows you to be able to watch on your tablet or smartphone and take the experience with you wherever you go. Nowadays, TVs are HD (and can even come in 3D!) which will allow you to have an exceptionally immersive experience easily. There are also dedicated channels out there and special sports TV packages that you can look into so that you get the very best experience. The sound and picture quality is now better than ever, which will ensure that watching the event this way will be almost as impressive as if you were to go to an event in the flesh. In addition, with HD Ultra and 4K just starting to penetrate the home, our level of viewing experience will only get better and better over the next few years. 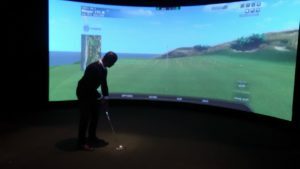 But having experienced the cutting edge screens available at the PGA Golf Show in January – this really could be the future of golf viewing! LIVE golf events – Other options…. As the way of Home TV viewing has changed, so has the way Pubs, Bars and Restaurants have altered how they attract new custom… you can even watch Live golf events in your local bookmakers now! So, regardless of which method of watching golf you choose to use, remember that there is always a solution for you despite your budget or lifestyle. In addition, staying up to date with the latest and greatest golf tournaments has never been so easy! Share the post "Great ways to enjoy watching LIVE golf events…"
« Burnham On Crouch Golf Club – A TSG Review….